IWRM approach recognized worldwide and seeks to manage the water recourses in a comprehensive and holistic way, taking in to account all water users. 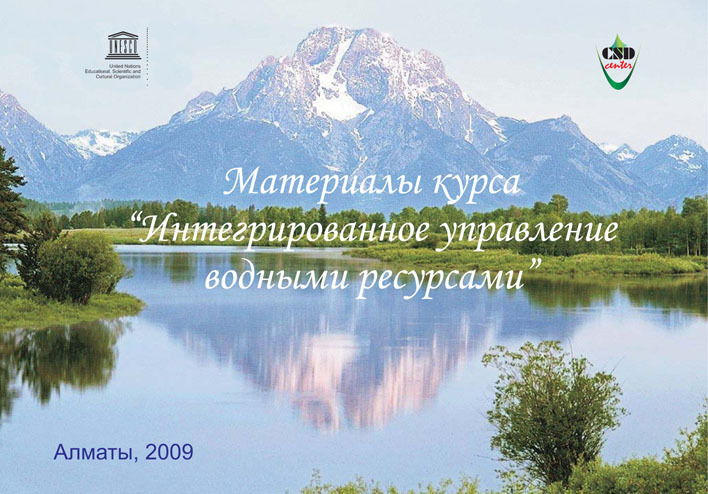 The university course “Integrated water resource management” IWRM was developed in 2009 by the Center of “Cooperation for sustainable development of Republic of Kazakhstan” with support of UNESCO Cluster office in Almaty. The course materials focus on: current state of water management system in connection with sustainable development principles, IWRM concept, national water policy and legislation, basins management practice in Kazakhstan, information management, international cooperation in managing of transboundary watercourses. Familiarization with IWRM course will provide to students and young professionals the new managerial skills in water use and water saving area and will help to develop competence for decision making process at all levels. Development of IWRM course for universities of Kazakhstan and Central Asia countries will contribute to achievement of goals of IHP programme and UN Decade for Education on Sustainable development. Course materials are available in Russian.